Summary: How do you know about cabochon? I consider it as one of preferred jewelry making companions. We have had given a detailed presentation about cabochons and cabochon jewelries at earlier product introduction. You have probably known many more types of cabochons. This time let’s narrow the scope down to give a further knowledge about flower resin cabochons and its relevant jewelries. How do you know about cabochon? I consider it as one of preferred jewelry making companions. We have had given a detailed presentation about cabochons and cabochon jewelries at earlier product introduction. You have probably known many more types of cabochons. This time let’s narrow the scope down to give a further knowledge about flower resin cabochons and its relevant jewelries. 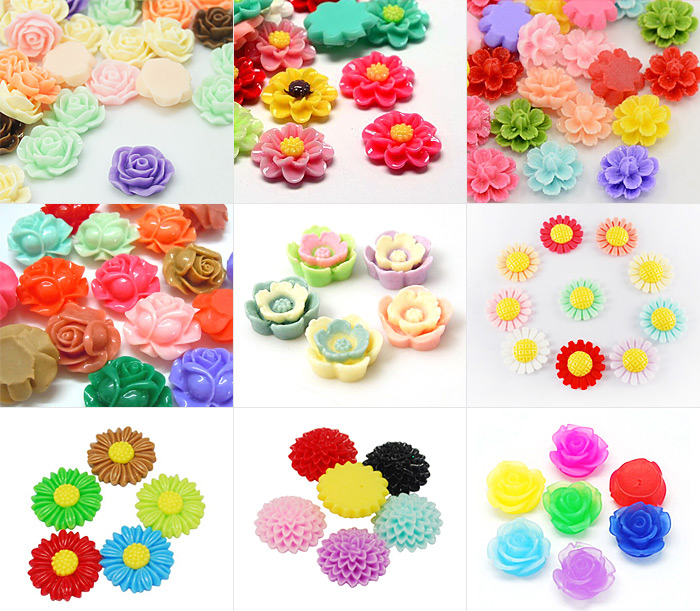 Take a look at the following bright- colored and vivid flower cabochons; please note they are all made out of resin. These resin flowers’ bottom is polished to be flat and smooth. Lightweight and decent size and color give its best use for earring, cuff link, ring and other flat-pad findings. To tell me the truth, what kind of creative and stylish jewelry is popping up to your mind when you see these various flowers? 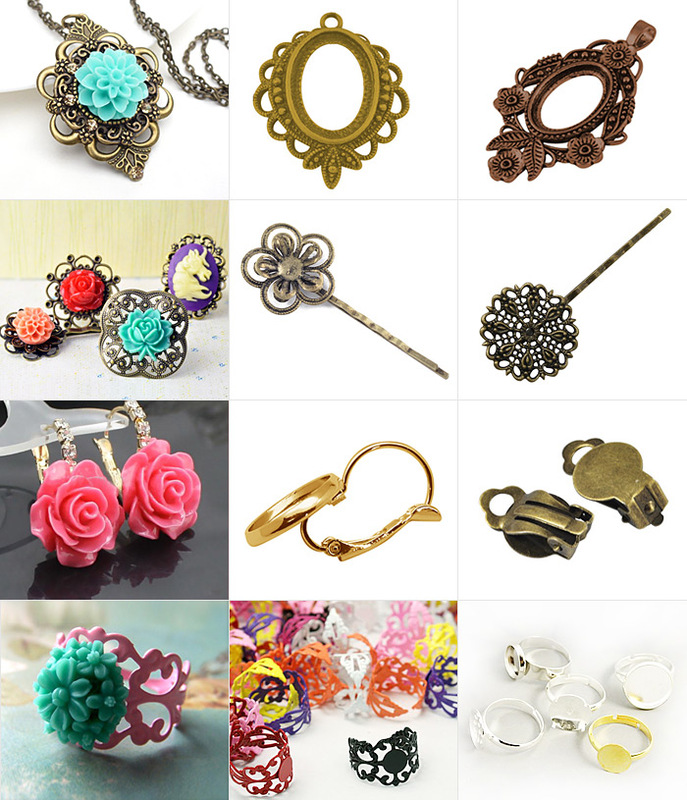 How about gluing one flower cabochon to my old hair clip? This is my first reaction. What about yours? When it comes to cabochons, we can’t ignore cabochon settings any more. Choose appropriate cabochon settings to make your beautiful cabochons more practical and attractive. 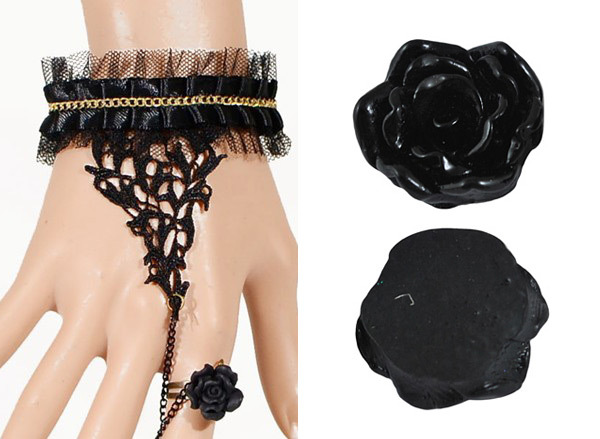 For jewelry making, you need to select your cabochon settings in accordance with the jewelry you will make.